We have minds capable of dreaming up almost infinitely ambitious plans and only time to realize a pathetic fraction of them. If God exists this is a proof of his cruelty. This quote is a paraphrase of something I've read in the past. I couldn't find where it's from. If you do know where it comes from – please contact me! I've hinted a few times that I have "lengthy" list of things to do. New year is a good opportunity to publish a blog post about it. I'm going to skip some entries which seem to be too far fetched (some could have slipped in anyway) and some ideas I don't want to share yet. Please note, that none of these entries nor estimates are declarations nor project road maps – this is my personal to do list which may change at any time. Most notably I am aware that these estimates are too ambitious and it is unlikely that all will be met. In its early days ECL had both. They were removed in favor of native threads. I think that both are very valuable constructs which may function independently or even work together (i.e native thread have a pool of specialized green threads sharing data local to them). I want to add locatives too since I'm at adding new built-in classes. ETA: first quarter of 2019 (before 16.2.0 release). There might be better interfaces for the same goal, but there are already libraries which benefit from APIs defined in CLtL2 which didn't get through to the ANSI standard. They mostly revolve around environment access and better control over compiler workings (querying declarations, writing a code walker without gross hacks etc). ECL has two major performance bottlenecks. One is compilation time (that is actually GCC's fault), second is generic function dispatch. In a world where many libraries embrace the CLOS programming paradigm it is very important area of improvement. Professor Robert Strandh paved the way by inventing a method to greatly improve generic function dispatch speed. The team of Clasp developers implemented it, proving that the idea is a practical one for ECL (Clasp was forked from ECL and they still share big chunks of architecture – it is not rare that we share bug reports and fixes across our code bases). We want to embrace this dispatch strategy. ETA: second quarter of 2019 (after 16.2.0 release). I think about adding optional modules for SSL and file SQL database. Both libraries may be statically compiled what makes them good candidates which could work even for ECL builds without FASL loading support. ETA: third quarter of 2019. Admittedly I already had three tries at this task (and each ended with a failure - changes were too radical to propose in ECL). I believe that four makes a charm. Currently ECL has two passes (which are tightly coupled) - the first one for Common Lisp compilation to IR and the second one for transpiling to C/C++ code and compiling it with GCC. The idea is to decouple these passes and have: a frontend pass, numerous optimization passes (for sake of maintainability) and the code generation pass which could have numerous backends (C, C++, bytecodes, LLVM etc). CDR has many valuable proposals I want to implement (some proposals are already implemented in ECL). Functions compiled-file-p and abi-version are a very useful addition from the implementation and build system point of view. Currently ECL will "eat" any FASL it can (if it meets certain criteria, most notably it will try to load FASL files compiled with incompatible ECL build). ABI validation should depend on a symbol table entries hash, cpu architecture and types used by the compiler. ETA: (this task is a sub-task of compiler modernization). ecl_min is an small lisp interpreter used to bootstrap the implementation (it is a binary written in C). Replacing this custom lisp with a lisp which has the standard draft would be a big step forward. I expect some blockers along the way – most notably EuLisp has one namespace for functions and variables. Overcoming that will be a step towards language agnostic runtime. ETA: fourth quarter of 2019.
standard-extended-input-stream has a quirk - event queue is mixed with the input buffer. That leads to inconsistent event processing between input streams and all other panes. According to my system and specification analysis this may be fixed. This task requires some refactor and careful documentation. Thread safety is about using CLIM streams from other threads to draw on a canvas being part of the CLIM frame from inside the external REPL. This ostensibly works, but it is not thread safe - output records may get corrupted during concurrent access. ETA: first quarter of 2019. We already use XRedner extensions for drawing fonts and rectangles with a solid background. We want to switch clx backend to use it to its fullest. Most notably to have semi-transparency and accelerated transformations. Some proof of concept code is stashed in my source tree. ETA: second quarter of 2019. I've mentioned it in in the last progress report. We want to spend the whole mid-release period on testing, bug fixes and documentation improvements. Most notably we want to write documentation for writing backends. This is a frequent request from users. 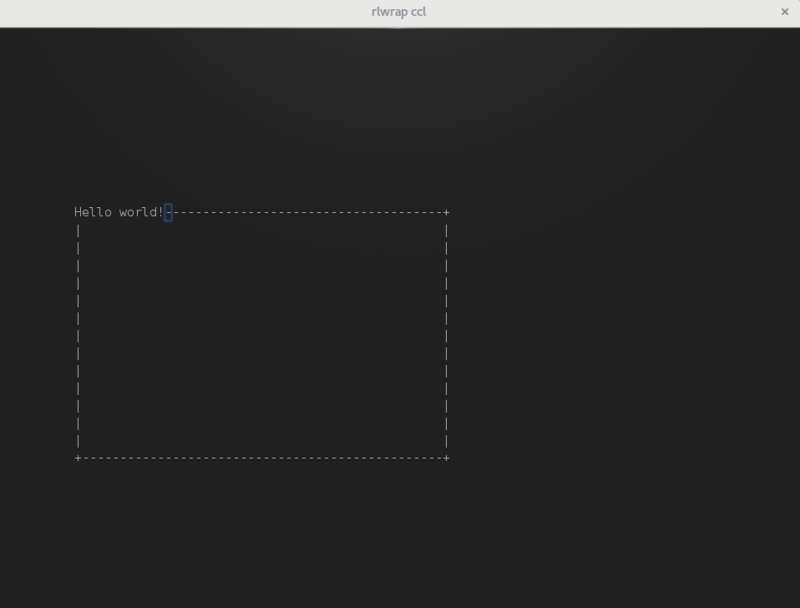 This task involves writing a console-based backend (which units are very big compared to a pixel and they are not squares). That will help me to identify and fix invalid assumptions in McCLIM codebase. The idea is to have untyped coordinates being density independent pixels which have approximately the same size on any type of a screen. A natural consequence of that will be writing examples of specialized sheets with different default units. 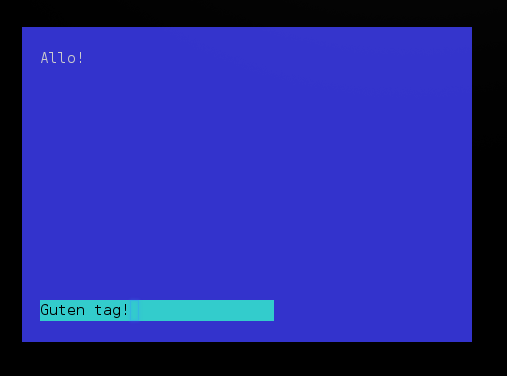 Finish writing a CLIM frontend to ansi-test (tested lisps are run as external processes). Create a test suite for Common Lisp pathnames which goes beyond the standard. Contribute UNIX domain sockets portability layer to usocket. Explore the idea of making CLX understand (and compile) XCB xml protocol definitions. Write a blog post about debugging and profiling ECL applications. Resume a project with custom gadgets for McCLIM. Do more research and write POC code for having animations in McCLIM. Resume a project for writing Matroska build system with ASDF compatibility layer. Use cl-test-grid to identify most common library dependencies in Quicklisp which doesn't support ECL and contribute such support. This list could be much longer, but even suggesting more entries as something scheduled for 2019 would be ridiculous – I'll stop here. A day has only 24h and I need to balance time between family, friends, duties, commercial work, free software, communities I'm part of etc. I find each and every task in it worthwhile so I will pursue them whenever I can. 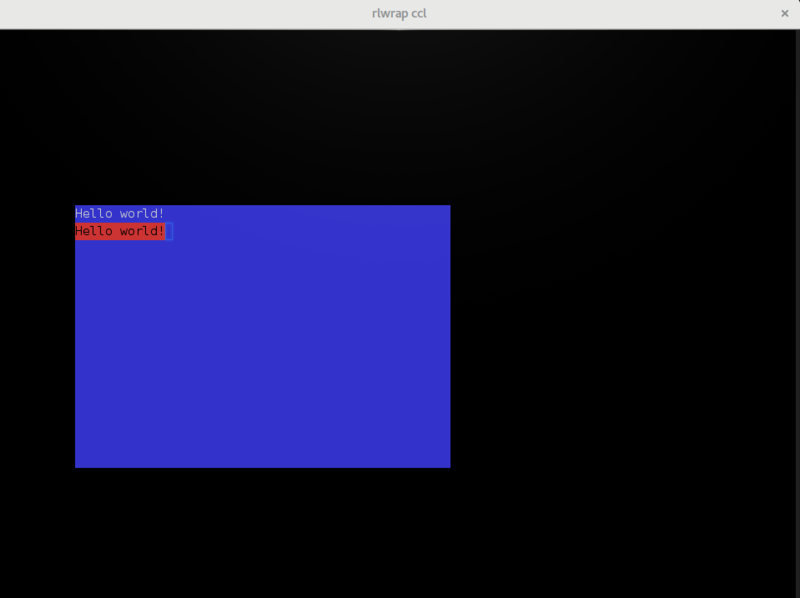 One of the projects I work on is McCLIM which is a GUI toolkit tailored for Common Lisp. For a few weeks now I was thinking about recording a demo session which shows some random usage of this software. If you are interested to take time and watch it, it takes around 30 minutes. This is my first tutorial video recorded in the home, so I would appreciate any feedback with remarks what I did good and what I did wrong. Thank you and enjoy the video! In this short tutorial I'll describe how to bootstrap easily a project website. In fact that's what I did today with the Embeddable Common-Lisp website in order to provide the RSS feed and make putting there the news easier. Additionally I'm showing here, how to create a standalone executable for coleslaw with clon after providing quicklisp independant bundle of systems. Now you should adjust the appropriate files. Edit .coleslawrc (file is self-explanatory), static pages and posts. Each file with the extension *.page is a static page. pages/main.page is an example template with a static page – don't forget to link it in the .coleslawrc's sitenav section. Exact URL of the page is declared in the file's header. Files named *.post represent blog/news posts which appear in the RSS feed. They are indexed and accessible from the root URL. Supported file formats are markdown, html and cl-who (if enabled). We will take more ambitious road – we'll create a standalone executable with a proper command line arguments built from a clean bundle produced by Zach Beane's Quicklisp. 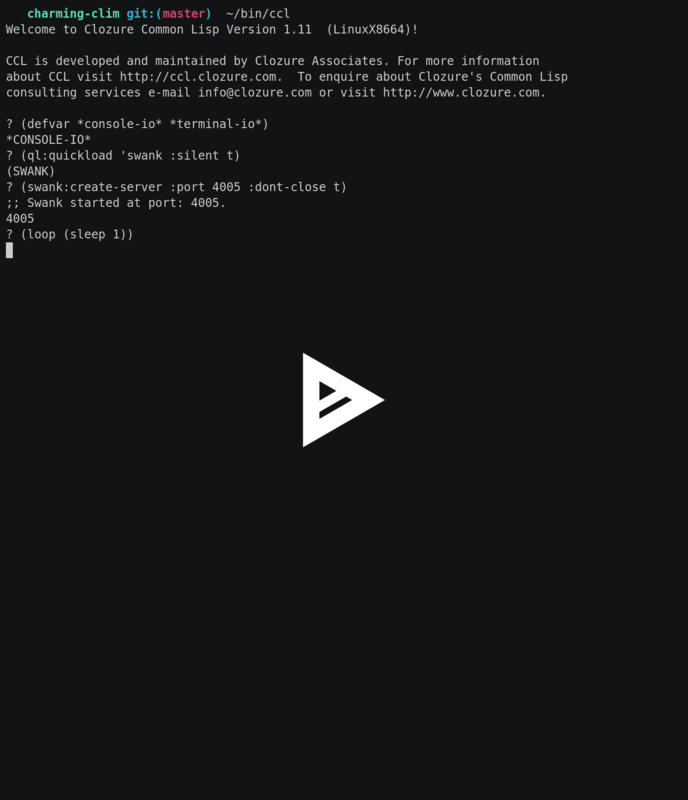 CLI arguments will be handled by Clon – the Command-Line Options Nuker, an excellent deployment solution created by Didier Verna. Bundle is a self-containing tree of systems packed with their dependencies. It doesn't require internet access or Quicklisp and is a preferred solution for the application deployment. Some dependencies aren't correctly detected – Quicklisp can't possibly know, that our plugin will depend on the cl-who system, and it can't detect cl-unicode's requirement during the build phase – flexi-streams (this is probably a bug). We have to mention these systems explicitly. Clon is added to enable the clonification (keep reading). You may generate the executable with sbcl and ccl (ecl has some problems with the coleslaw dependency - esrap, I'm working on it). I have used ccl, because it doesn't "derp" on the symbol exit and produces slighly smaller executable than sbcl. This command should create native executable named coleslaw in the same directory. On my host ccl produces binary with the approximate size 50M. This is a very simple executable definition. You may extend it with new arguments, more elaborate help messages, even colors. That's all. Deployment destination is set in the .coleslawrc file in each website directory. echo -e "\n  Master updated. Running coleslaw...\n"
That's all. Now, when you push to the master branch your website will be regenerated. By default .gitignore file lists directory static/files as ignored to avoid keeping binary files in the repository. If you copy something to the static directory you will have to run coleslaw by hand. Coleslaw is a very nice project simplifying managing project website with easy bootstrapping the site without any need to maintain working lisp process on the server (this is static content which may be served with nginx or apache) and allowing easy blogging (write a post in markdown and push to the repository). Sample Common-Lisp Project is a pre-configured website definition with a theme inspired by the common-lisp.net projects themes with some nice features, like RSS feed and blog engine (thanks to coleslaw). We have described the process of creating a simple website, creating a standalone executable (which may be shared by various users) and chaining it with git hooks.